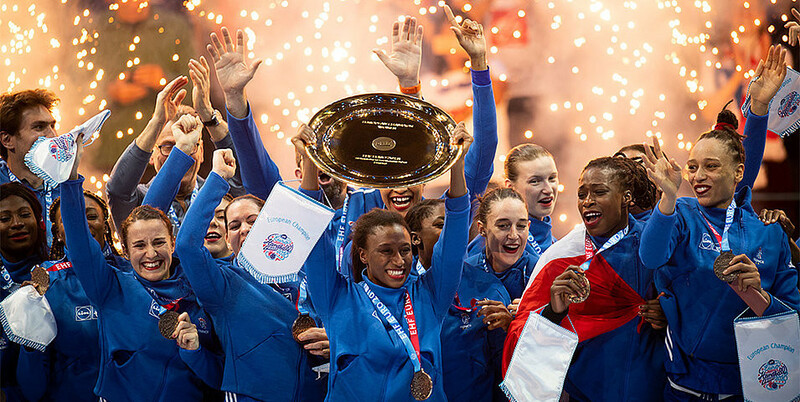 Neither of these sides had won the European Handball Federation’s Euro title before, and the result was in doubt right to the end of a fluctuating match. Anna Vyakhireva, whose 13 goals had helped Russia beat Romania 28-22 in their semi-final, was a huge figure for them once again, top-scoring with seven goals. For France, who had beaten The Netherlands 27-21 to end a run of three failures at the semi-final stage, Alexandra Lacrabere contributed six goals. France led 13-12 at half time, and pushed on to 17-14 after 39 minutes thanks to Lacrabere. Try as they might, Russia could never quite get back on level terms after this point and three final goals from Lacrabere in the final eight minutes tipped the match the way of the home side. The Netherlands beat Romania 24-20 in the bronze medal match that preceded the final.